The Dunn County Fish and Game Association is entering into it’s 91st year of existence. It has been serving the community since its incorporation on May 25, 1928. The founding members were R. W. Mitchell, W. C. Klatt, J. C. Wilcox, Ole Bradseth, & William Seifert. Since forming, the group has focused on conservation and preservation in Dunn County through various events. 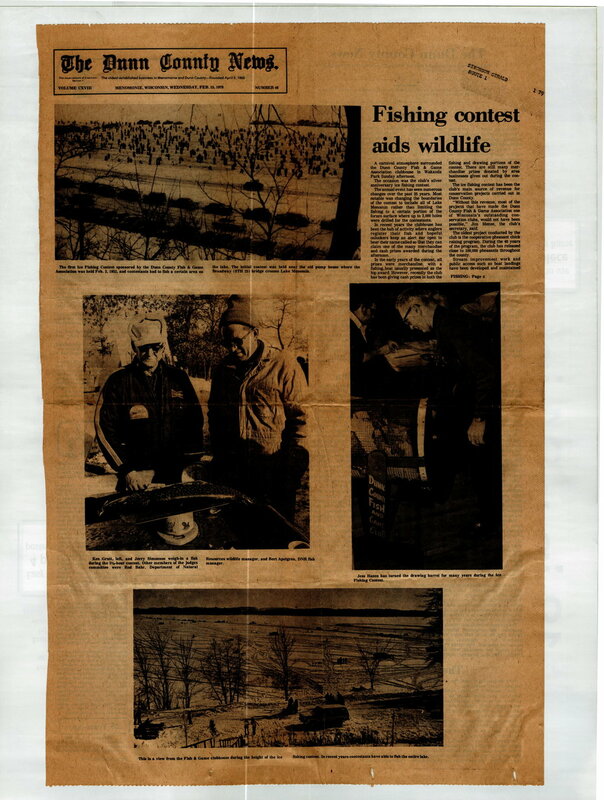 Below is a news clipping from the Dunn County News on February 15, 1978 that highlights the history of the annual ice fishing contest on Lake Menomin.